Objective 1: Develop a learning methodology and accredited curriculum to support the development of practice based research skills (intellectual output 1). The work package will also identify how research skills and inquiry-based learning can be used to develop these skills. It will examine pedagogical best practice in adopting such approaches. From this it will develop a learning methodology to leverage from research skills and inquiry-based approaches to satisfy future SME needs. Published output: A report on the pedagogical approaches for teaching workplace research skills will be published on the 30th May 2018. It will summarise the findings of the work package including a practice based research curriculum and learning methodology for teaching this in a workplace environment. Objective 2: Develop a level 8 specialist diploma in practice based research to teach workplace research skills to employees of SMEs (Intellectual Output 2). This workpackage will develop learning material to allow employees in SMEs to become more entrepreneurial. The modules will be based on the needs analysis conducted during the proposal stage, an analysis of future workplace and emerging skills needs as a result. It will also consider the and the ENTRECOMP framework developed by the European commission in 2016. The programme will over four modules in total. These modules will be based on developing practical workplace research skills and will allow those in SMEs to foster an entrepreneurial mindset. The modules will be delivered online and will be translated into English, Lithuanian, German, Spanish and Romanian. Published output: The text-based learning material for four modules will be made available on the project website. Any video-based learning material will be made available on the project youtube channel. Objective 3: Develop ICT tools to support the mentoring and development of research skills in SMEs (IO3). 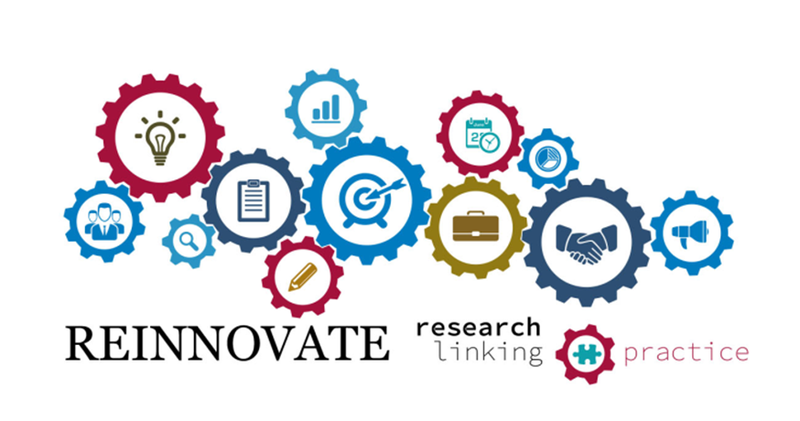 This workpackage will demonstrate how workplace practical research skills can be use to develop the enterpreneural capability of an SME and improve the competitiveness of an SME. One hundred in SMEs will be recruited to take the programme Smart Research as a 21st Century Skill for Business. Learners will be supported to complete the programmeusing the learning material developed in IO2, a tutor and the ICT platform developed in IO3. To test the ability of the project to develop the relevant skills learners will undertake a pre and post assessment of their entrepreneurial capacity using an adapted version of an assessment tool such as the intrapreneurial assessment tool developed by Kuratko et al, 1990. In addition, learners will be asked to measure a competitive aspect of their company relevant to the research project being under taken prior taking the course and do a comparative analysis of this post programme. Learner satisfaction of the programme and pedagogical approach will also be measured post programme. This will be done by disseminating a survey to all learners and completing a content analysis of their reflective diaries. Published output: A summary of the pilot results will be made available as a report on the 1st June 2020. This workpackage will identify how research skills can be developed in different sectors and educational contexts. It will explore how research skills can be integrated into existing entrepreneurial programs. To do this it will interview SMEs in various sectors regarding how they applied the research skills. It will also conduct a content analysis of existing entrepreneurship programs and interview VET providers about how research skills can be integrated. From this it will develop a report to guide VET providers and SMEs on how to develop research skills in learners in their organisations. Published output: A report entitled ‘Integrating practical research skills into entrepreneurship educatio’ will be released on the 30th June 2020. This will summarise the results of the workpackage provide a guidance document for those wishing to develop research skills in their organisation.